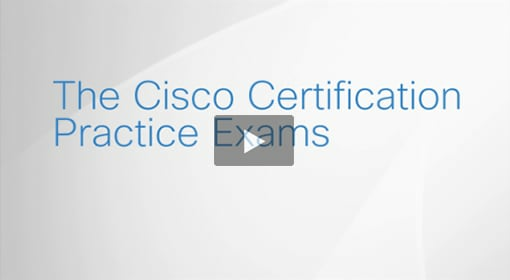 The Cisco Certification Practice Exam by MeasureUp: ICND1 (100-105) is designed to help candidates prepare for and pass the Cisco ICND1 exam. Candidates must also be able to demonstrate an understanding of infrastructure maintenance including monitoring, device management, device configuration, device hardening, maintenance, and troubleshooting. In addition, your practice exam contains two unique features to give you increased flexibility: Practice Mode for ensuring coverage of all exam-related topics and a timed Certification Mode to help you feel like you're taking the real exam. Think you might need more time to study? If so, for $10 more you can use the 60-day version of the practice exam, or for just $20 more you can get the 90-day version. To learn more about system requirements for this product, please read our Frequently Asked Questions.